Much as our perception of life itself is like being chained to a wall, watching shadows in the form of Nicolas Cage—an allegory known as “Plato’s Cage”—so too is the illusion that movies are different when, in actuality, they are merely one Nicolas Cage movie. Fortunately, that self-deception crumbles with every new Nicolas Cage casting announcement like this one, confirming that Cage will star in Tokarev, a thriller about a former criminal searching for his daughter’s kidnappers. Cage reportedly “has long been interested in the role”—so much so that he already took it in last year’s Stolen, a thriller about a former criminal searching for his daughter’s kidnappers—because Nicolas Cage knows that, in a philosophical sense, there are only former criminals searching for their kidnapped daughters. These are the only shadows we can know, interrupted by the occasional flicker of non-criminals out for non-daughter-related vengeance. Look closer and you’ll find that even the movies that have already been made without Nicolas Cage are, in fact, Nicolas Cage movies—movies such as Left Behind, for example, which formerly only appeared to star Kirk Cameron as a man abandoned in the wake of the Rapture. 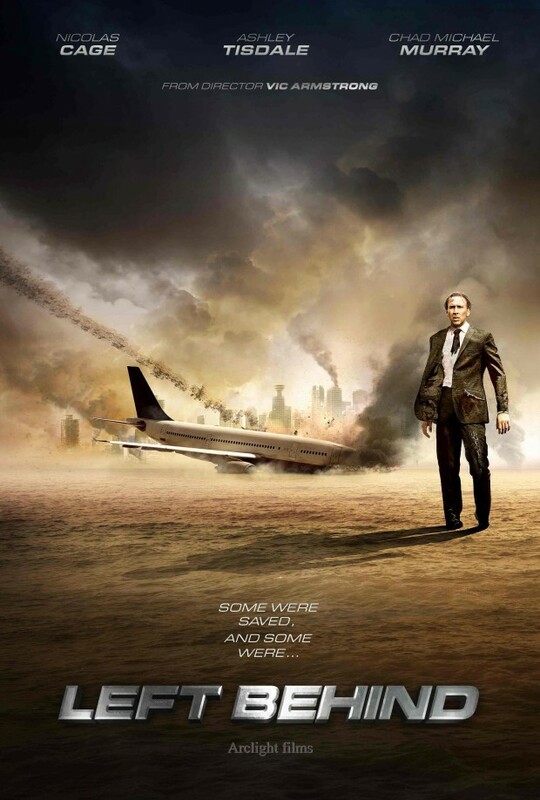 But, as this just-released poster for the upcoming remake reveals, Left Behind is actually a far more familiar Nicolas Cage movie, one in which Nicolas Cage once again narrowly escapes a plane crash, then seeks vengeance on God for kidnapping the world’s daughters. Only after Nicolas Cage has shown us this truth will we be released from our own prisons, freed former convicts finally able to seek vengeance for our own kidnapped daughters.